Routine maintenance on your air conditioning system is so important. A tune-up will ensure that your system runs effectively for many years and save you money in the long run by taking care of any problems before they become serious and costly. Replace and clean air conditioner filters. Filters clogged by dirt, dust, pet dander, or other airborne substances will block airflow and reduce a system’s efficiency by up to 15%, increasing your energy bill. Clean evaporator coils. An air conditioner’s evaporator coil collects dirt over time; without regular cleaning, debris will eventually obstruct airflow and reduce the coil’s ability to absorb heat. Unclogging condensate drains. A dirty drain channel will prevent an air conditioner from reducing humidity, resulting in excess moisture build up in the home. Check the refrigerant level and detect any leaks. Cracks in air ducts form over time due to normal use. Leaks can decrease an air conditioner’s efficiency, cause air quality problems, and create hot spots in your house. Inspect oil motors and check belts. An air conditioner’s motor and belts are the heart of the unit; without them, the compressor and fan cannot work. Unusual noises coming from the unit signal trouble with these components. Check the accuracy of the thermostat. It is important to check the thermostat and other electric wiring to ensure that the air conditioner is performing as expected. 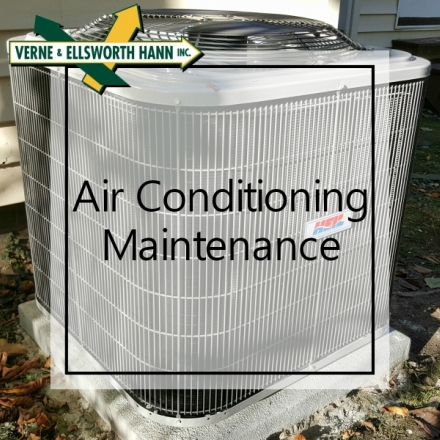 If you live in Northeast Ohio, give Verne & Ellsworth Hann a call at 216-932-9755 to schedule a tune-up on your air conditioning. Located in Cleveland Heights, Verne & Ellsworth Hann is a 5-generation company that has been servicing Cleveland Heights and the surrounding area for over 63 years. 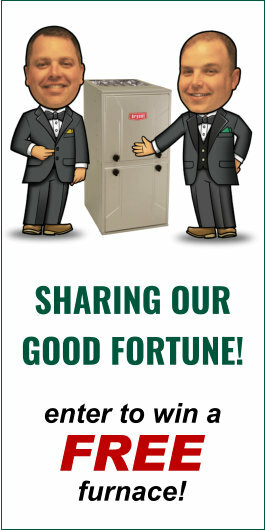 Owned and operated by brother Bill and Chris Hann, Verne & Ellsworth Hann can take care of all your HVAC and plumbing needs.